Eastern redbuds have such a curious habit of blooming right on the branch. I love seeing their hot-pink buds! The redbuds in bloom are a beautiful sight along the roadways in spring, aren’t they? I love their sculpted shape, like bonsais in the woodlands. Great descriptor there, too: ‘bonsais in the woodlands’! 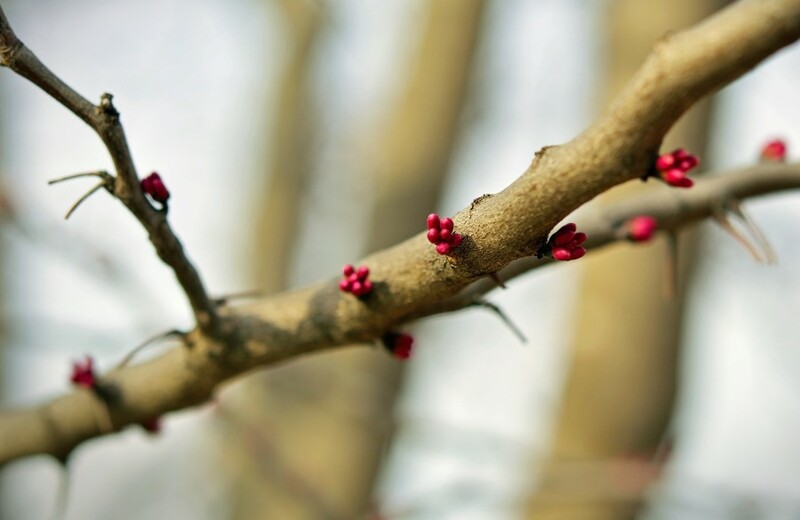 Even though redbuds are supposedly native, the only ones around here are planted in yards – none are wild, yet. Maybe in time they will reseed into the woods. Thank you, Nigel. These weeks of soft colors and blooms so quickly change to greens and bright sun and harsh shadows. Until then, I’d be out every day, all day, if I could.